"It is my impression that the Bible is not a book about theology as such, but rather, a record of theology in mission - God in action in behalf of the salvation of mankind." This is a missions book that has been THE textbook for my life in missions. A close friend gave this book to me. He received it from the library of a missionary who died while on the mission field in Ecuador. I immediately started underlining, highlighting, and making notes in the margins on the well-worn classic by George W. Peters. In my early days of doing missions work, trips, and talks, this book went with me everywhere. Not only is this book a valued gift, it’s been an awesome resource. 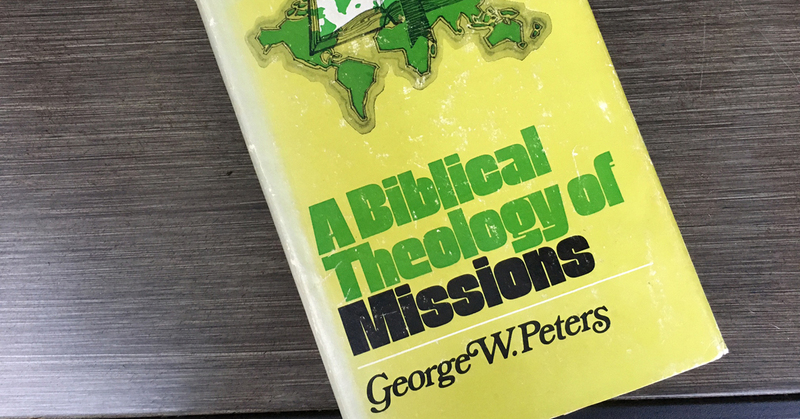 In short, Peters outlines the missionary intent of God through upward, inward, and outward ministries of the church. He does a splendid job of defining the difference in usage of the words “mission” and “missions”. This is one of the most succinct definitions of missions I’ve ever read. This definition cuts through much of the vague we’re-all-missionaries kind of messaging that permeates from pulpits and podcasts these days. If we're all missionaries, then no one's a missionary. The clear definitions and thorough treatment Peters gives to these terms need to be revisited by our current crop of popular Christian orators. Peters definitely clears up the confusion. Church History and the history of missions are inseparably intertwined. The book is neatly organized into three parts with a total of eight, well-presented chapters. If you are planning on going to the mission field, an advocate for missions, or training people for long or short-term missions, you are the audience this book was written to reach and equip. You need to have this book in your library.